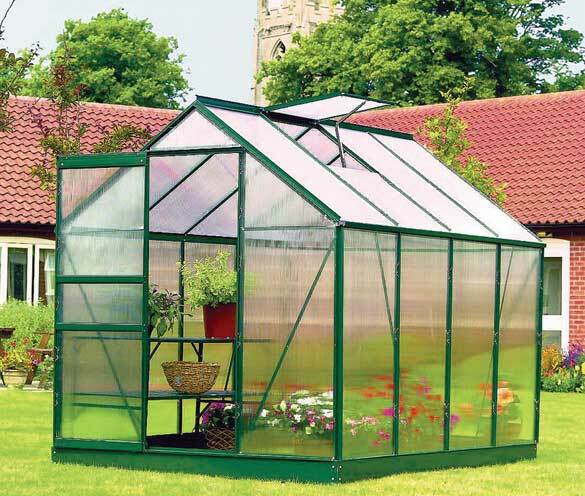 The BIO-Star Greenhouse is the perfect Season Extender and beginner greenhouse. The BIO-Star can be used to over-winter established plants in a protected environment. 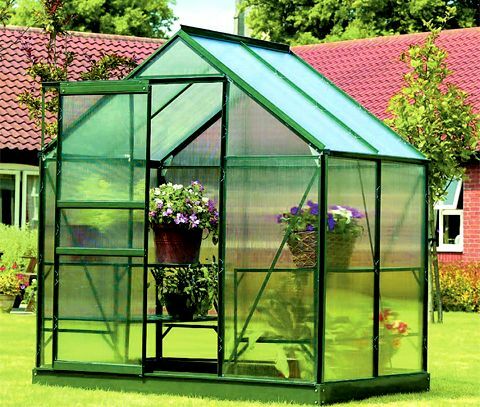 Units like the BIO-Star, and others like it, with only 4 mm twin-wall or a single layer of polycarbonate glazing are not recommended for serious gardeners wishing to grow from seed plants and/or vegetables during a winter with lots of frost. » Outside height: center: 76"; sidewall: 4' 6"
Fold-Away Staging :-Optional 3'9" long x 2'6" deep fold-up staging for the BIO Start Greenhouse. 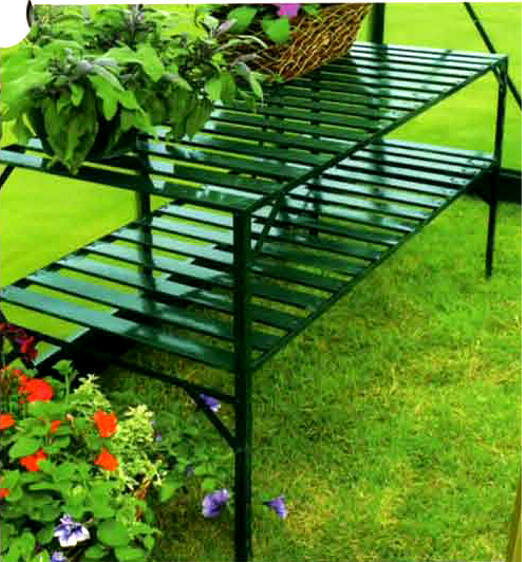 Fold-Away Shelf :-Optional 3'9" long x 1' deep fold-up shelf for the BIO Start Greenhouse. 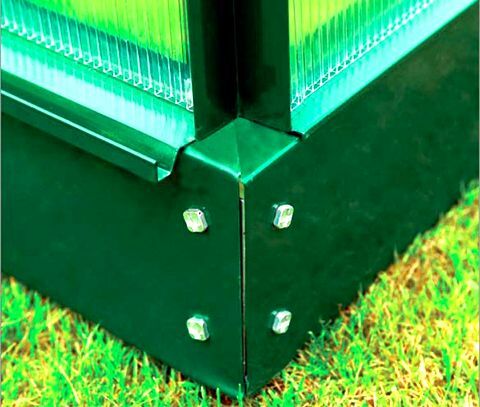 Louver Window : - Increase ventilation with this Optional Louver Window for BIO Start Greenhouse kit. Auto Vent : - This non-electric opener automatically opens and closes roof vent on your BIO Start Greenhouse when temperature changes. Ships free with BIO Start Greenhouse.